Standish Wine Company is really just one man: Dan Standish, amongst the company of fine old-vine Barossa Shiraz grapes. The core of the Standish Wine Company resides in the fruit from his 1912-planted family owned vineyard in Vine Vale. The fruit goes into two cuvees: The Standish and The Relic. 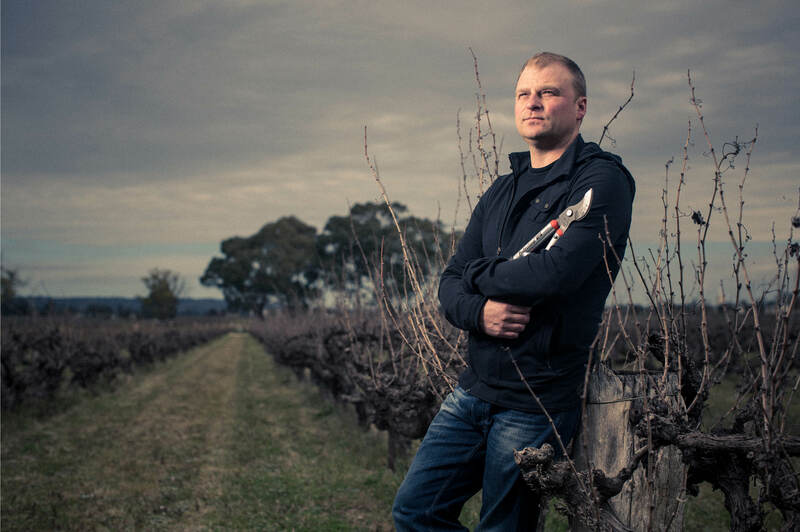 These wines are also joined by other outstanding vineyard fruit sources from throughout the North-West Barossa and Eden Valley, including fruit from the Fechner (Eden Valley), Laycock(Greenock), Schubert (Marananga), Nietschke, Helbig and Lehmann families. 2009 sees the release of all five cuvees for the first time, and they are definitive interpretations of old-vine Barossa Shiraz. Dan’s hands-off approach is all about letting the fruit speak: hand-picked, destemmed only, open ferments with wild yeasts, some in concrete eggs, gently basket pressed to French oak (15% new) The wines spend a minimum of two years on elevage with no racking, and are unfined and unfiltered into bottle.